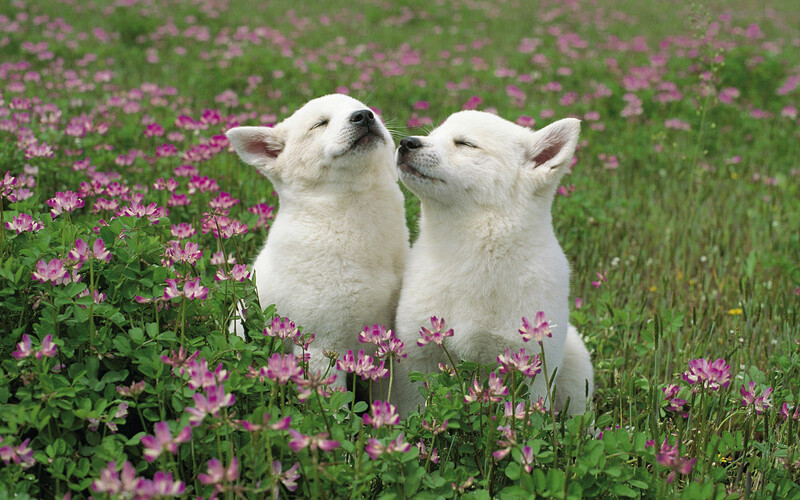 A perfect picture of two white charming and very important snow-white puppy posing for this lovely summer day among the grasses and small purplish white flowers. Beautiful dogs and puppies of large and small breeds posing in photos of high resolution. High quality pictures with dogs.